← flymojo will be Malaysia’s newest airline. By October 2015. Photoshopped? A sculpture of Lee Kwan Yew supposedly somewhere in India. Question in April 2017: Were these accomplished? NEARLY 7,000km away from Singapore, in the southern Indian state of Tamil Nadu, one town is planning to build a large brass statue of Mr Lee Kuan Yew and a memorial hall to remember him by. Another town is creating a museum on his life and achievements. While people from these towns disagree on many issues, they are united in their views on Mr Lee. Tamil Nadu, home to some 72 million people, has strong cultural and economic bonds with Singapore and its ethnic Tamil citizens. But within Tamil Nadu are Ullikkotai and Mannargudi, among half a dozen towns and villages, that have forged even closer links with Singapore. Many families, who once considered three meals a day a luxury, now live comfortably on money sent back by family members working in Singapore. They have swopped thatched-roof homes for double-storey residences. In Ullikkotai, for instance, many homes have television sets, air-conditioners and laptops, in addition to toiletries and medicine such as Axe Brand medicated oil, sourced from Singapore. All of them credit the change in their fortunes to Mr Lee. To honour Mr Lee, Ullikkotai is planning to build a large brass statue of him and a memorial hall, while the neighbouring town of Mannargudi wants to dedicate a museum to Mr Lee. Work on the statue, Mr Poiyamolzi said, would start by the end of the month. In Mannargudi, residents are working to set up the Lee Kuan Yew museum. An organising committee has estimated that it will cost 10 million rupees, but it has yet to fix a location. People have already pledged 500,000 rupees for this project. In his 60 years representing Tanjong Pagar, Singapore’s first prime minister Lee Kuan Yew paid close attention to its environment and made it a point not to miss its annual Tree Planting Day. Yesterday, MPs for Tanjong Pagar GRC, grassroots leaders and 100 residents planted 13 species of shrub in two areas of the constituency, in a nod to the late Mr Lee. The plants were favourites of Mr Lee and his late wife, Madam Kwa Geok Choo, and Tanjong Pagar GRC MP Indranee Rajah made the selection with the help of the Istana’s plant curator. 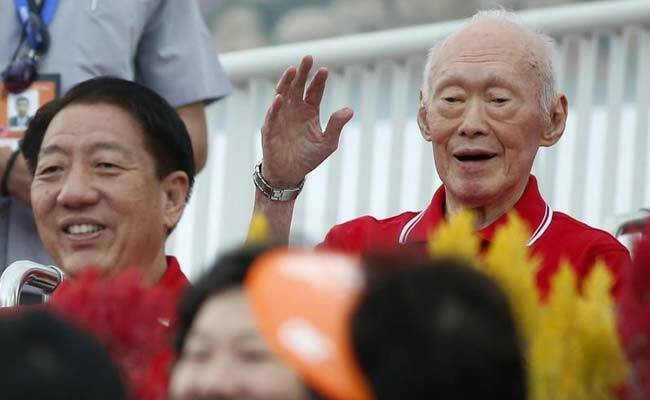 On Malaysia Day, 16 Sept 2013: Lee Kuan Yew is 90; Ex-CPM chief Chin Peng dies. 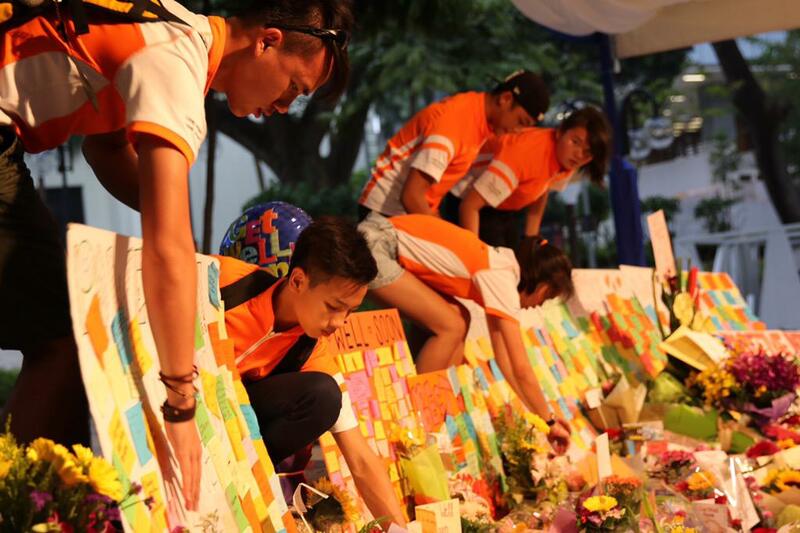 Singaporean Amos Yee, 17, creator of the video celebrating the death of Lee Kwan Yew. Astro Awani’s live telecast of the funeral of Singapore’s first Prime Minister drew anger from some Malaysians on social media, as they questioned the channel’s purpose of giving such prominent coverage of the late leader. KUALA LUMPUR — The Malaysian government today (March 30) defended Astro Awani’s live telecast of Lee Kuan Yew’s funeral procession, saying its local broadcast channel probably decided to give full coverage to the event because of its news value. Multimedia and Communications Minister Ahmad Shabery Cheek said Malaysians should not view the live telecast as a mark of respect for Singapore’s founding father, but rather as a programme aired because it was something viewers would want to watch. “As a news channel, when it reports something, airs something live and so on, it is not seen as a sign of respect, but from the angle of whether something has news value. A news channel is a platform to present news that people want to know about,” the minister said. In airing their grievances on Astro Awani’s Facebook page — some of which were riddled with expletives — the upset subscribers accused the Malaysian channel of being “pro-Singapore” in according full coverage to a political leader whom they felt had not had an impact on Malaysia’s history or development. “If it is a Quranic recital or Ustad Azhar Idrus, I don’t mind. But this? Might as well cancel my Astro subscription,” said a Facebook user who went by the moniker Paksu Yg Punyerr. Another viewer, Mr Fairus Salleh, questioned Lee’s importance to Malaysia and Astro Awani’s choice of news coverage. “Come one, Awani, why do this coverage? Is he that important? What did he do for this country? Might as well provide news coverage of problems affecting the people,” the viewer said. SINGAPORE: Train services will end later on Saturday (Mar 28) to cater to members of the public who are paying their last respects to the late Mr Lee Kuan Yew at Parliament House. The last MRT trains will leave City Hall, Raffles Place and Clarke Quay stations at about 1am, instead of the usual 11.50pm or so, while LRT services and 41 feeder bus services will also see extend hours to match the last trains to provide connectivity between train stations and residential areas. n addition, SBS Transit and SMRT will ramp up their Night Bus services that normally operate on Fridays, Saturdays and the eve of Public Holidays. These 13 bus services will run from midnight to 6am, at intervals of 15 minutes, and provide connections to major residential areas, such as Jurong, Bukit Batok, Yishun, Ang Mo Kio, Sengkang and Tampines. 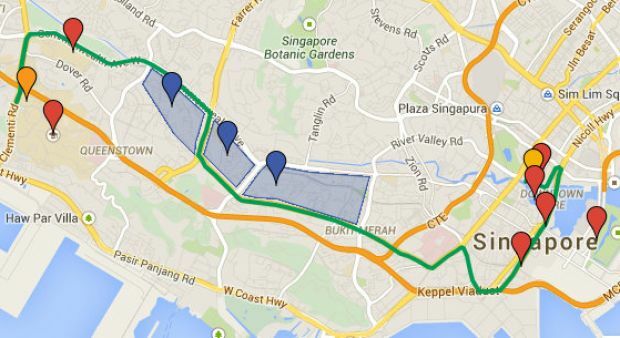 Five trunk services – SBS Transit 32, 124 and 145 and SMRT 190 and 851 – will also operate on extended hours until 6am at 15-minute intervals to provide additional connections from the city to the heartlands. 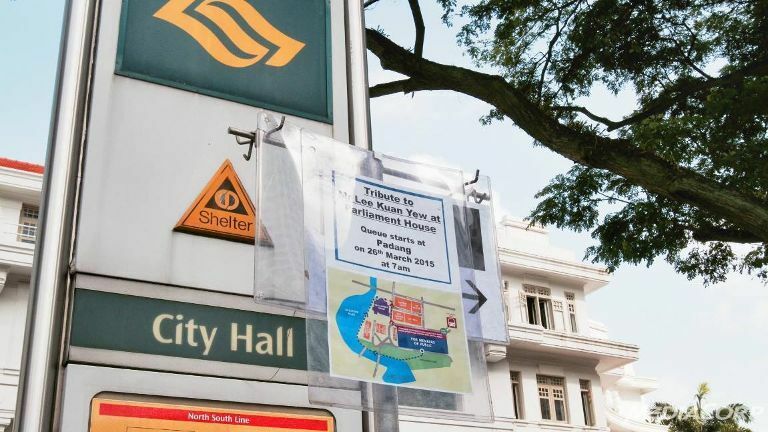 On Sunday, all train services will run at shorter headways of between three and five minutes from 11am until 6pm, to provide connections for those who may want to pay their last respects to the late Mr Lee during the State Funeral Procession. 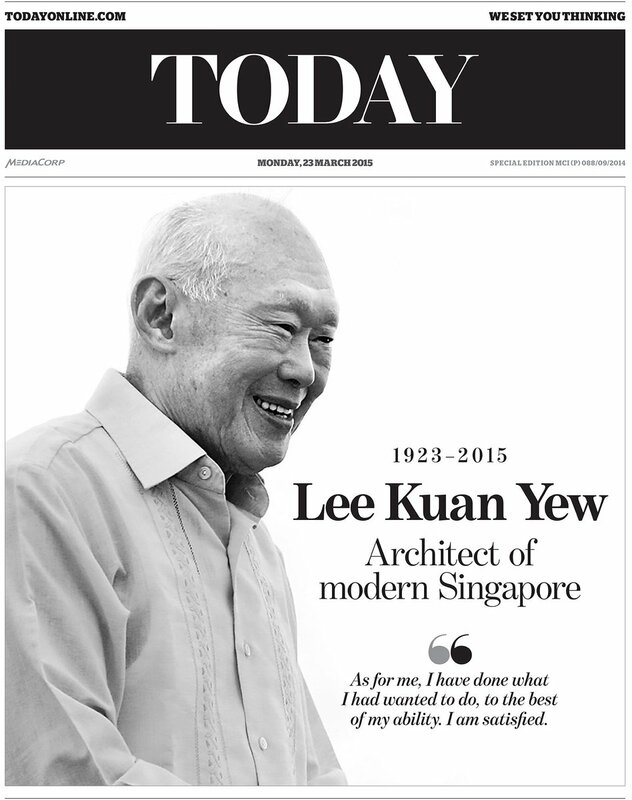 Singapore’s founding father Lee Kuan Yew died at 3.18am this morning at Singapore General Hospital. He was 91. Rumours that he had died swept through social media and mobile messaging services on late Wednesday after a screenshot of the purported PMO statement was widely circulated. Media reports based on the hoax were later retracted. 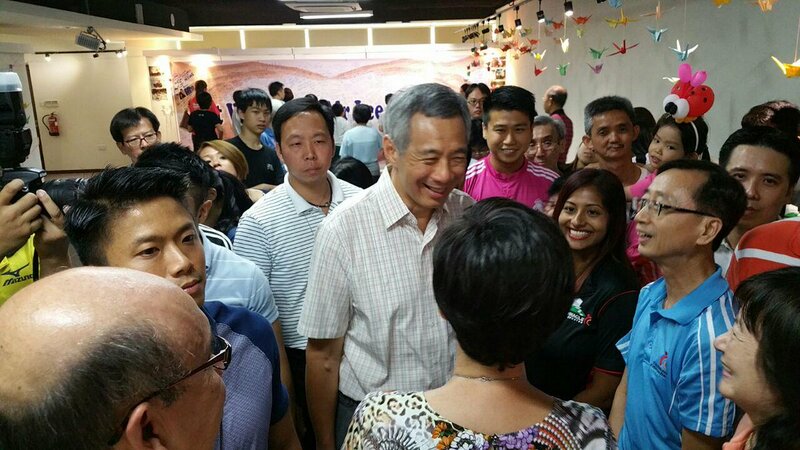 PM @leehsienloong joins well-wishers at Tanjong Pagar CC, signs get-well banner for his father, Mr #LeeKuanYew. 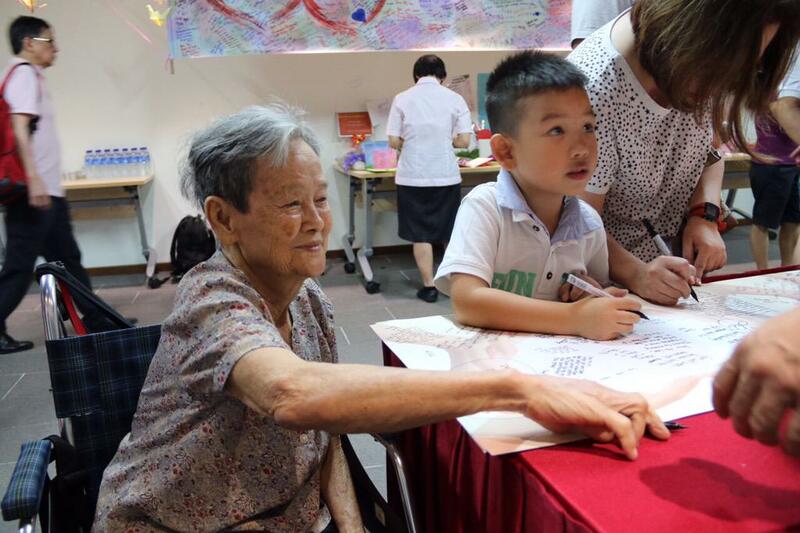 SINGAPORE – Grassroots leaders at Tanjong Pagar GRC, where former Prime Minister Lee Kuan Yew is an MP, have set aside a special area for residents to place get-well cards and other gifts for Mr Lee. 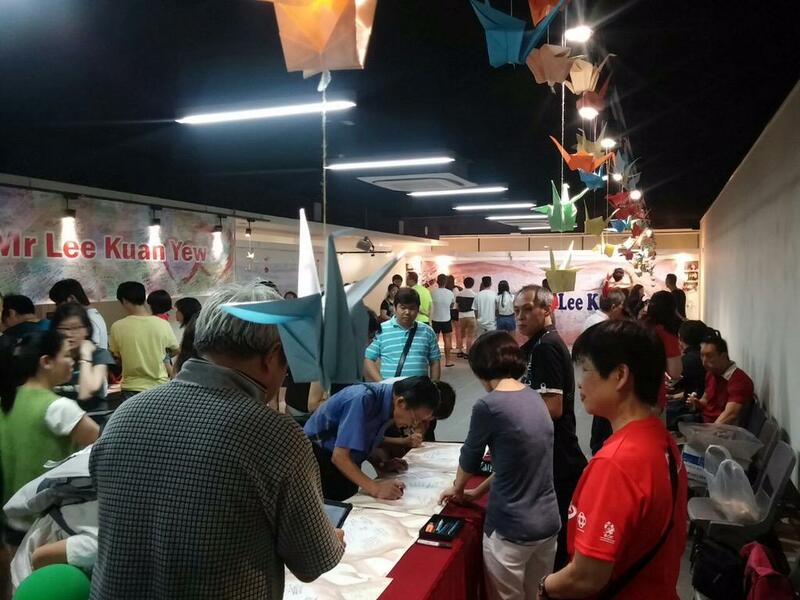 The designated area in the Tanjong Pagar Community Club art gallery will be open over the weekend from 9am to 10pm. 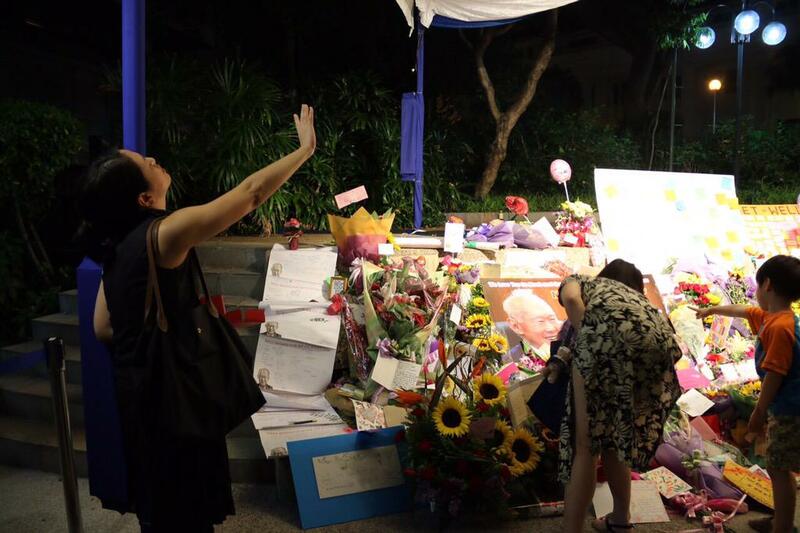 SINGAPORE: The Singapore General Hospital (SGH) has designated an area outside Block 7, near the Bengawan Solo cake shop, for well-wishers to leave tributes for former Prime Minister Lee Kuan Yew. 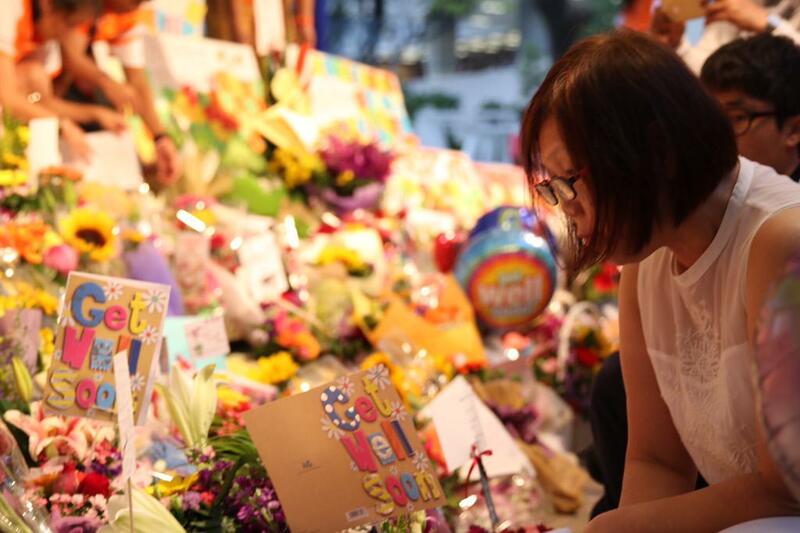 Several Singaporeans and foreigners have been visiting SGH to leave bouquets and get-well cards for Lee, 91, who is in the hospital’s Intensive Care Unit. 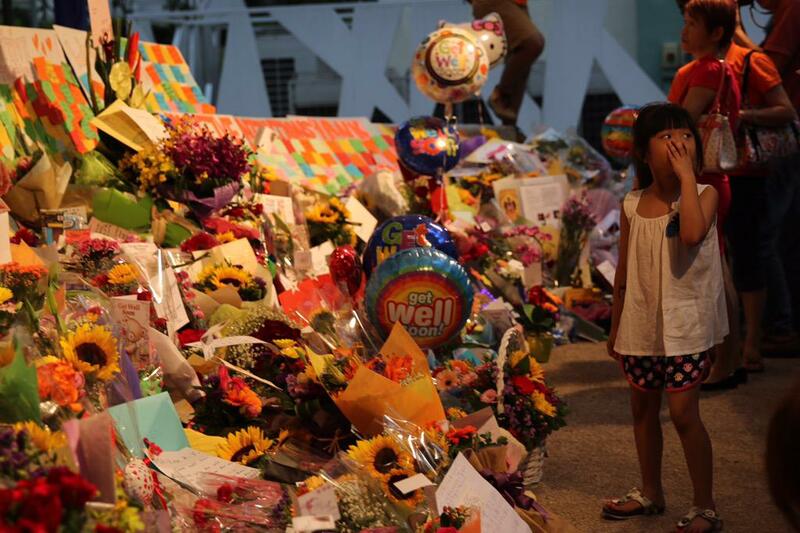 Lee remains “critically ill”, said the Prime Minister’s Office in a statement on Friday afternoon. 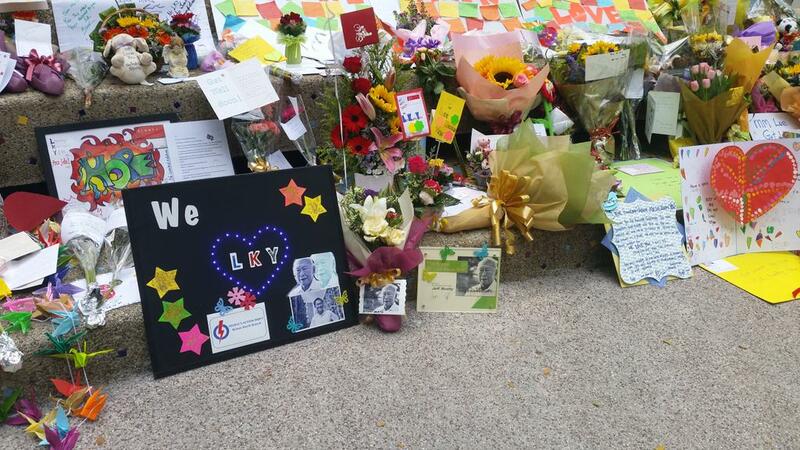 SINGAPORE: Crowds gathered at the Singapore General Hospital (SGH) and social media was abuzz on Wednesday after news broke that former prime minister Lee Kuan Yew was critically ill. The Prime Minister’s Office (PMO) said in a statement that the health of Lee, who is in SGH’s intensive care unit, had deteriorated further. 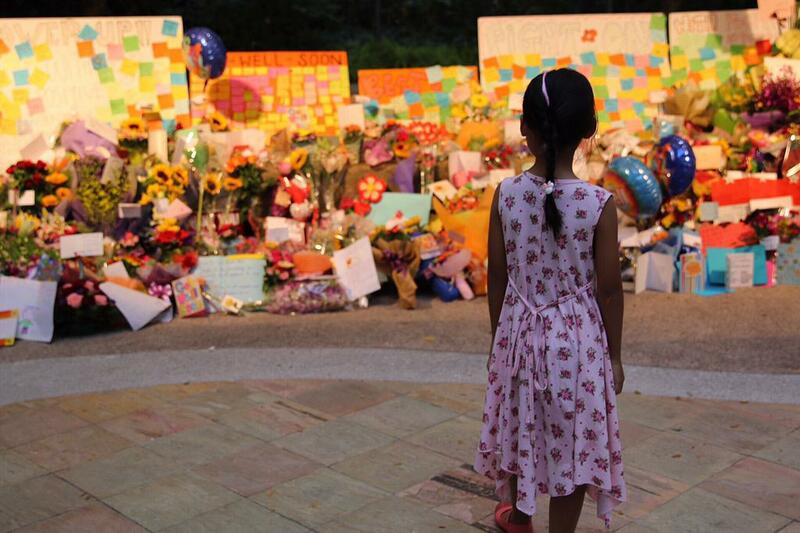 The update prompted a flurry of condolences and activity online. 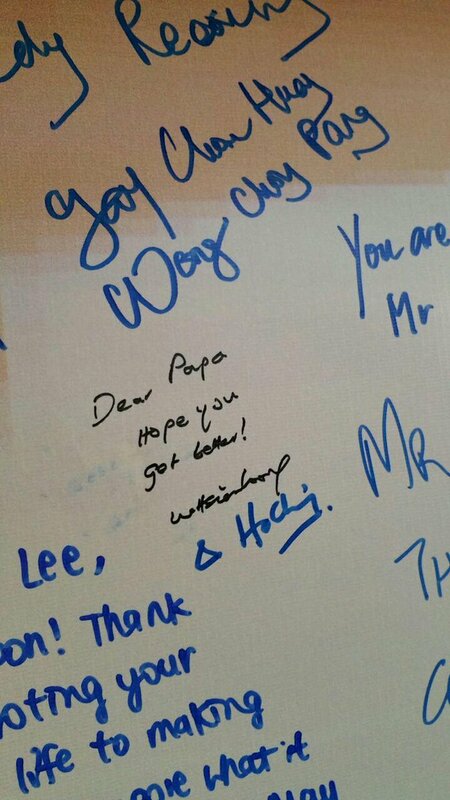 Lee, 91, was visited on Wednesday by family members and relatives, including his eldest child, Prime Minister Lee Hsien Loong, 63, and grandson Lee Yipeng, 32. The hospital lobby was crowded with journalists, some flying in from around the region, including those from Japan’s NHK TV and the Yomiuri Shimbun newspaper as well as Phoenix Chinese News. Online, there was an outpouring of good wishes for modern Singapore’s founding prime minister to get well soon, including from ministers and MPs. Lee’s Facebook update on his father’s health drew more than 2,000 comments within hours. Livemint published an erroneous report on Singapore’s founding father Lee Kuan Yew’s death based on a tweet from TV channel CNN’s verified Twitter account and wrongly attributed it to AFP. The tweet, which originated from information from a hoax website, has since been denied. Singapore: Singapore’s elder statesman Lee Kuan Yew remained in critical condition today, the government said, as police launched an investigation into bogus reports that he had died. “Mr Lee Kuan Yew remains critically ill in the ICU,” the latest bulletin issued by the office of his son, Prime Minister Lee Hsien Loong, said. The government on Wednesday quashed rumours that the 91-year-old patriarch, who has been in hospital for severe pneumonia since February 5, had died and asked police to investigate a fake statement on his passing that purportedly came from the Prime Minister’s Office (PMO) website. A government spokesperson told AFP late on Wednesday that the statement was “doctored” and described it as “fake”. 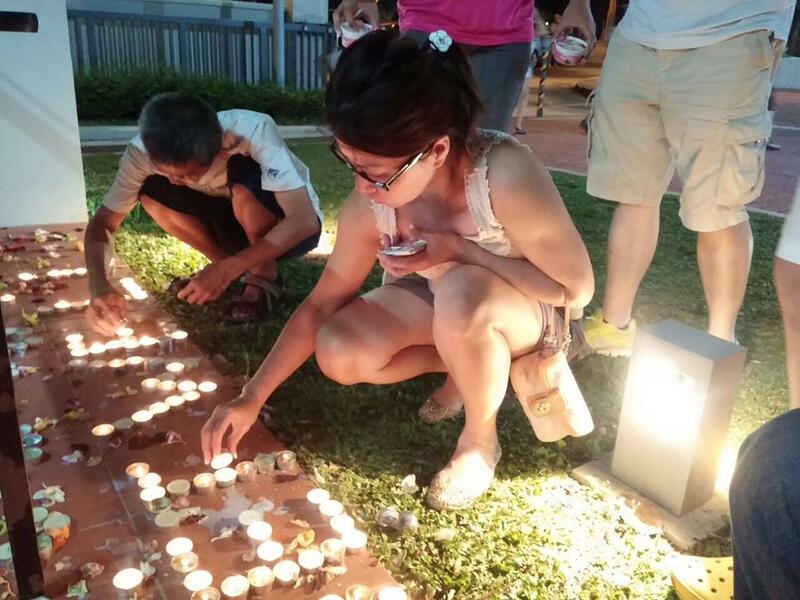 At Singapore General Hospital (SGH) on Wednesday night, the mood was understandably muted. 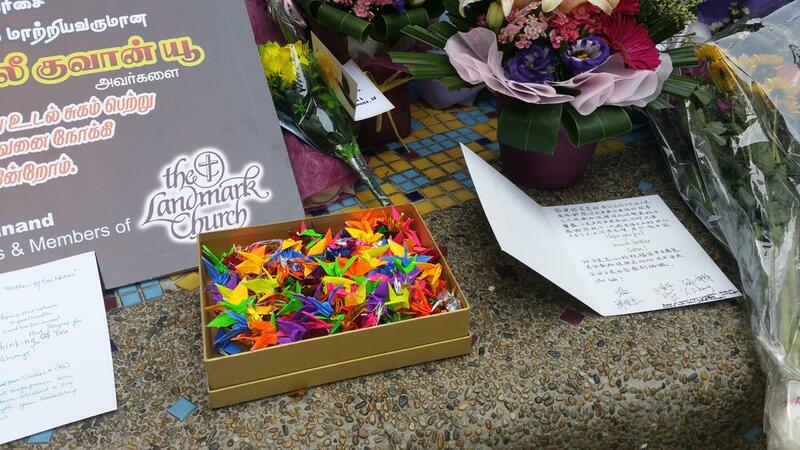 A number of people had made their way down especially for one reason – to keep vigil for Singapore’s first Prime Minister Lee Kuan Yew. On Tuesday, the Prime Minister’s Office said his condition had worsened due to an infection. On Wednesday, it was announced that he was still critically ill. The people at SGH waited and sat in small groups scattered around the Block 6 waiting area. They spoke in hushed tones, making no commotion, even as some of the lights were turned off. 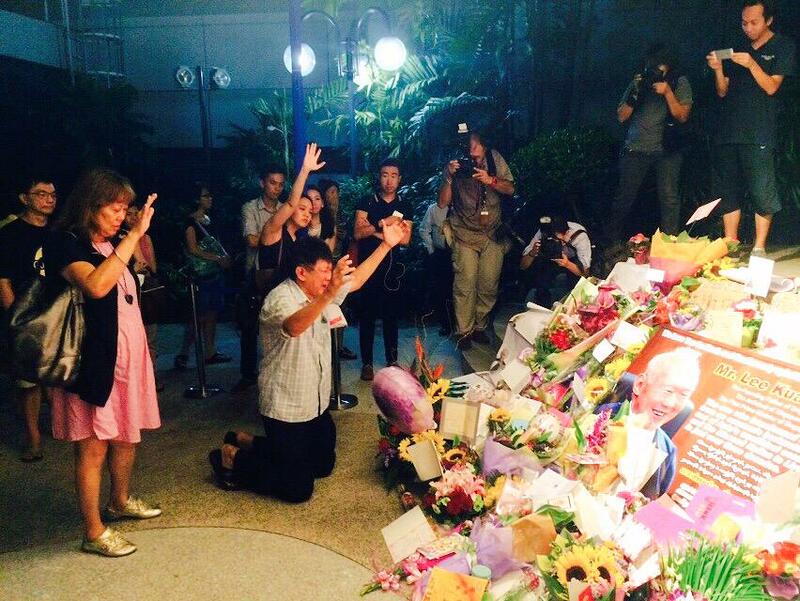 People like Ms Julie Minhat came to offer their prayers for Mr Lee. Yet when Ms Julie, and others like her, spoke to The New Paper, a sense of hope could be heard in their voices. 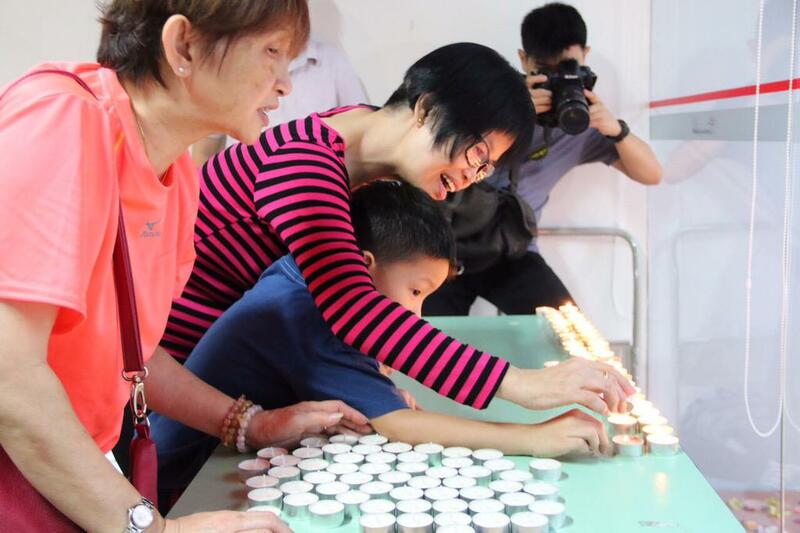 Ms Julie, a resident of Ang Mo Kio, said she was at the hospital since 8pm. In that time, she had seen a build-up of media personnel. Close to 10pm, an area was cordoned off for the press. 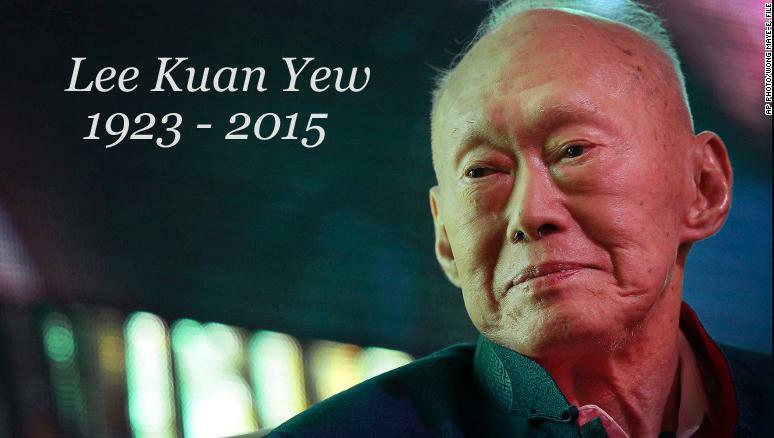 This entry was posted in lee kwan yew, singapore, singapore: first prime minister and tagged fake news about lee kwan yew's death, hakka man lee kwan yew, hoax news about lee kwan yew's death, lee kwan yew, lee kwan yew critially ill, singapore first prime minister. Bookmark the permalink.